When the first Estranged full length, Static Thoughts, came out back in 2008 I was pretty blown away. The band had taken a Wipers/Hot Snakes downstroke heavy guitar assault and blasted through 10 songs. That album was easily one of my favorites of the year. When their second album, The Subliminal Man, came out in 2010, I was a bit disappointed. While it was still a good record that I enjoyed and played fairly often, it was such a radical departure in sound that I found it jarring. 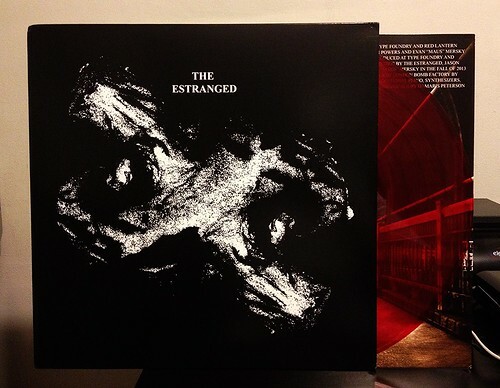 Now, four years later, The Estranged are finally back with LP number three and this one is a doozy. I wouldn't say that it's a return to the sound of their earlier work, because it isn't. But they do incorporate much more of the energy from that time period into this new batch of songs. You can't help but hear a bit of 80's punk/alternative in their music. The Cure? Sure maybe a little bit, but certainly not enough to be annoying as first and foremost, The Estranged are a bunch of punk rockers. Maybe a little darker than your average punk band, but I think they share some traits with the band Crusades. Regardless, this latest Estranged album is pretty great. It's deceptively catchy once you've given it a few listens and I'm struck more than anything by the interesting guitar work they employ throughout the record. While they may have started out bashing away at their strings like the Wipers, they're a significantly more dynamic band than they were six years ago. As is the usual Dirtnap practice, the first 200 copies are on colored vinyl and amazingly it looks like they still have a few available. So if that's your thing, you best get moving.